Junior Golf Scoreboard has excellent information on college recruitment. How do college golf coaches discover talent? What is the parent's role in the recruiting process? 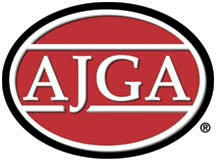 Will playing AJGA events increase my chances of earning a college scholarship? 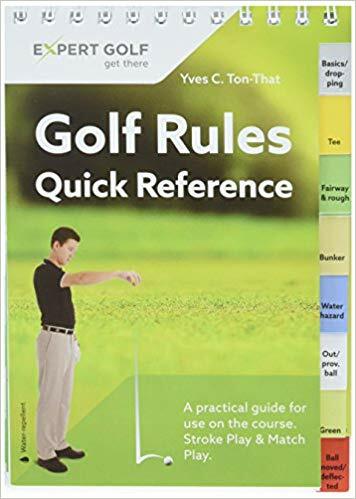 And many, many more answers to important questions that many high school golfers have. be a Division I school, it might not be in California, but you can compete while getting an education. they will probably find you. If you're not, you need to reach out to them. register. This should be done before the start of your senior year. Registration is mandatory for all collegiate athletes. 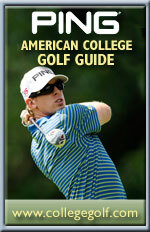 The College Golf Guide has been designed to help high school students find the right school for their needs. "Academics First" ranking, for students who are focused on education but still desire to play competitive golf. The "Balanced" ranking is the best indicator for the majority of young men and women heading off to college. The PING Guide contains vital help for junior golfers who want to continue their golf career at the collegiate level. Even if you are not going to make the PGA Tour, are you still interested in a career in the golf industry? Former Great Oak golfer Corey Baubault graduated from the PGM program at New Mexico State University. What is a Professional Golf Management Program? Do you know the answer to these basic questions? If not, don't even think about college golf. 1) If you can't find your ball, what do you do? 2) What is the difference between red stakes, yellow stakes, and white stakes? Do you know how to proceed in each situation? 3) What is a lateral water hazard? If you hit it into one, where do you hit your next ball from? How many options do you have? 4) What can and can't you do in a sand trap? 5) What happens if you pick up your ball before it hits the bottom of the cup? 6) Your ball is lodged in a bush. You can't even make a swing on it. What do you do? What are your options? because a junior golfer never learned the rules. LOOKING FOR A CHEAP WAY TO PRACTICE AND PLAY? The SCGA has started a wonderful program for junior golfers (high school age and below). Once you enroll, you can use driving ranges and play rounds of golf for an incredibly cheap price. There are various courses, listed by region, all over the state of California. For example, Cross Creek & Menifee Lakes are both $1 for range balls and $4 or $5 for green fees. It looks like the courses usually make you play in the afternoon, but most seem to have open access to the driving range. A program like this would be a great way to play various courses over the off-season without making your parents go broke.